Cranberry Orange Muffins combine so many vibrant flavors. The tang of cranberries, the zestiness of citrus, and the sweet bite of a light and fluffy muffin. My darling baby boy turned one month old on Friday. I had decided after he was born that I wasn’t going to try to lose the baby weight until he was a month old. I knew friends would be bringing us a few dinners (and desserts) that weren’t going to be Trim Healthy Mama friendly or low carb. I had a fairly easy birth this time (as far as birth goes) but had some postpartum complications afterward. I really needed to take it easy on myself both physically and mentally for a while. I gave myself a month off to just eat whatever. 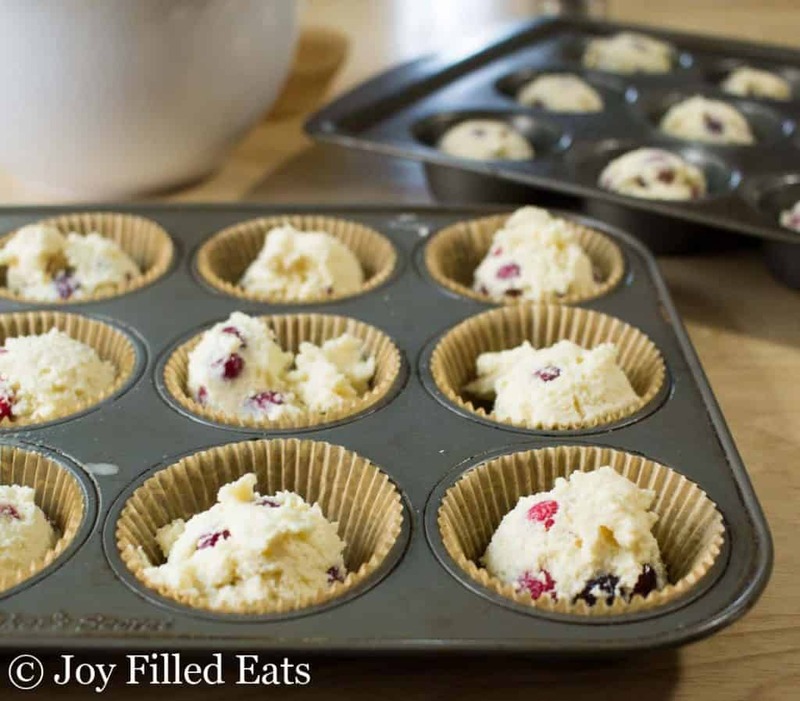 One of the things I had were some fabulous Cranberry Orange Muffins while at a retreat day. 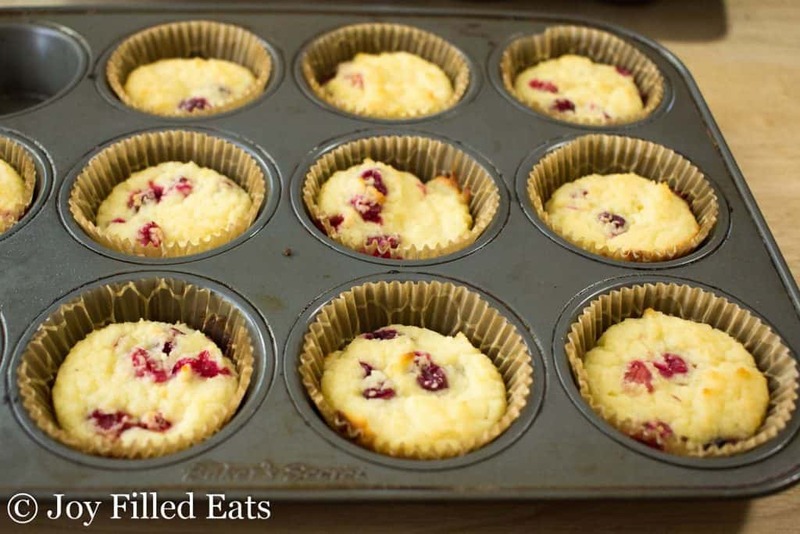 I’m not a huge muffin fan but I love cranberries and these just looked too good not to try. They were really good. I even wrapped a second one in a napkin and snuck it home in the diaper bag for an afternoon snack. After that indulgence, I knew one of the first recipes I wanted to make when I was back on my feet was a batch of healthy Cranberry Orange Muffins. 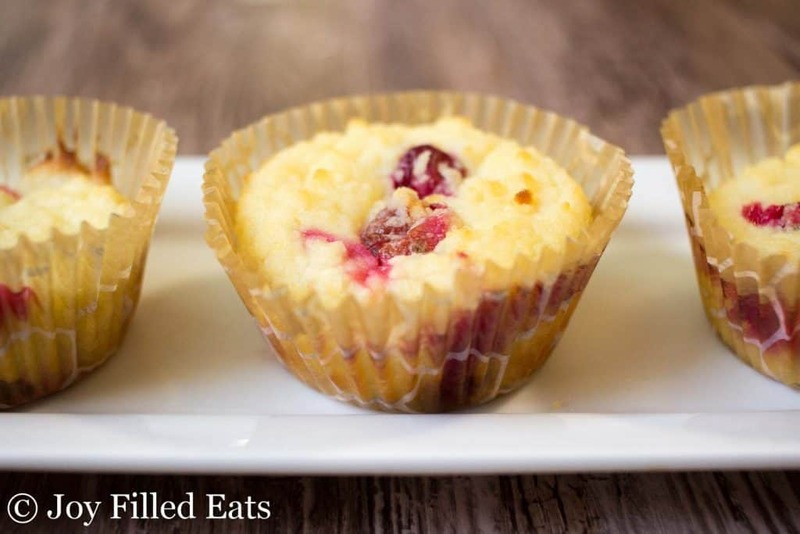 I took my Sour Cream Vanilla Cupcakes as a starting point and tweaked them to make them more like a muffin and added orange extract and cranberries. Recipe success. They froze well which was also a bonus for the mornings I don’t have a chance to cook myself a hot breakfast. This is a dump and stir recipe. My favorite kind. Just put all the ingredients in a bowl and mix. Done. I made half with cupcake liners and the other half without. I wasn’t sure which way would work better and look prettier for the photos. Both ways worked. The non-lined muffins came out of the tin fairly easily but I liked the look of them with the papers more. And there is less clean up that way. I do not enjoy have the scrub each individual cup of a muffin tin. 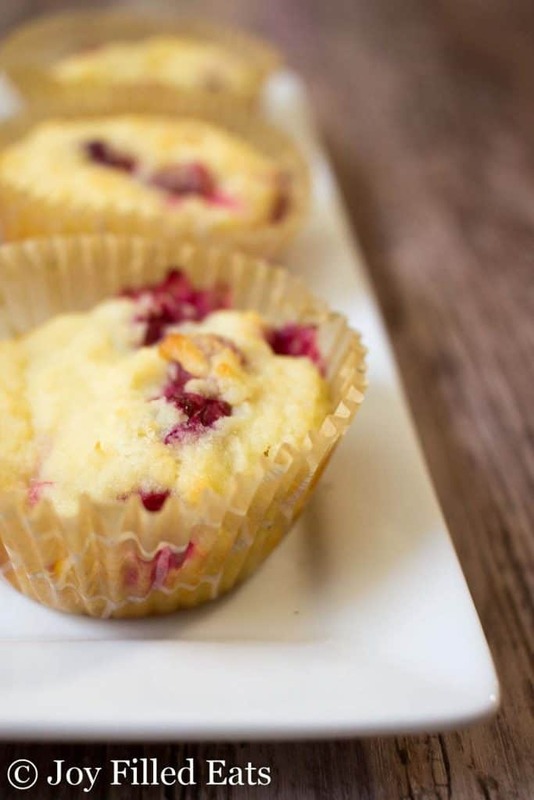 These Cranberry Orange Muffins are a great breakfast or grab-and-go snack! 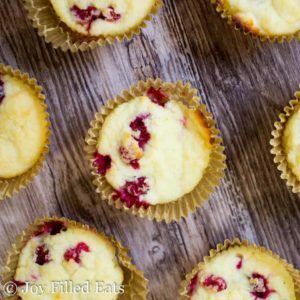 Cranberry Orange Muffins combine so many vibrant flavors. The tang of cranberries, the zestiness of citrus, and the sweet bite of a light and fluffy muffin. Preheat oven to 350. Line 20 muffin cups with liners and spray with cooking spray. 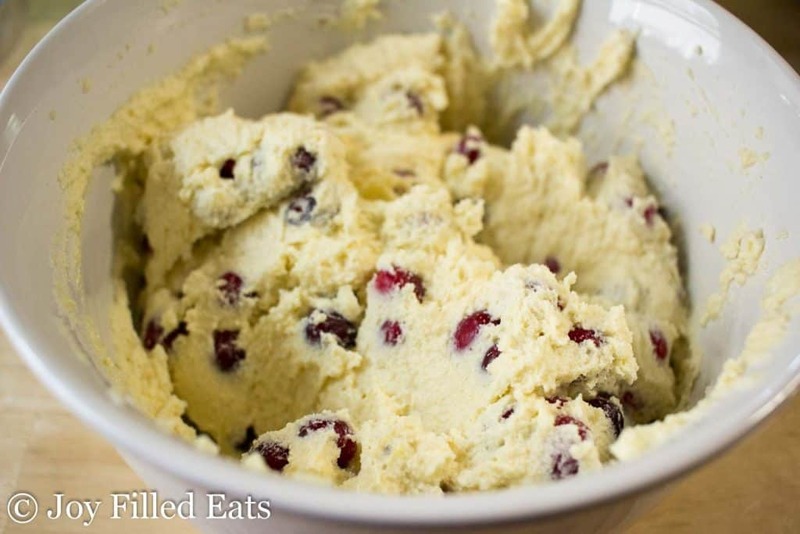 Combine all the ingredients, except the cranberries, and stir well. Fold in the cranberries. Divide between the prepared muffin tins. Bake 25-30 min until golden brown and firm to the touch. I'm glad you liked them. It helps to use aluminum liners and spray with cooking spray. Can't wait to try these tomorrow however I have a few questions. I have xylitol and wonder if it's possible to use that in place of the other sweetener. Also is the substitution the same when switching sour cream for yogurt? Can I mix in a blender and/or use a mixer. Thanks for all your help. Yes to all the questions. You will need about 1.5 of the sweetener amount if using xylitol. A mixer would be better than a blender. 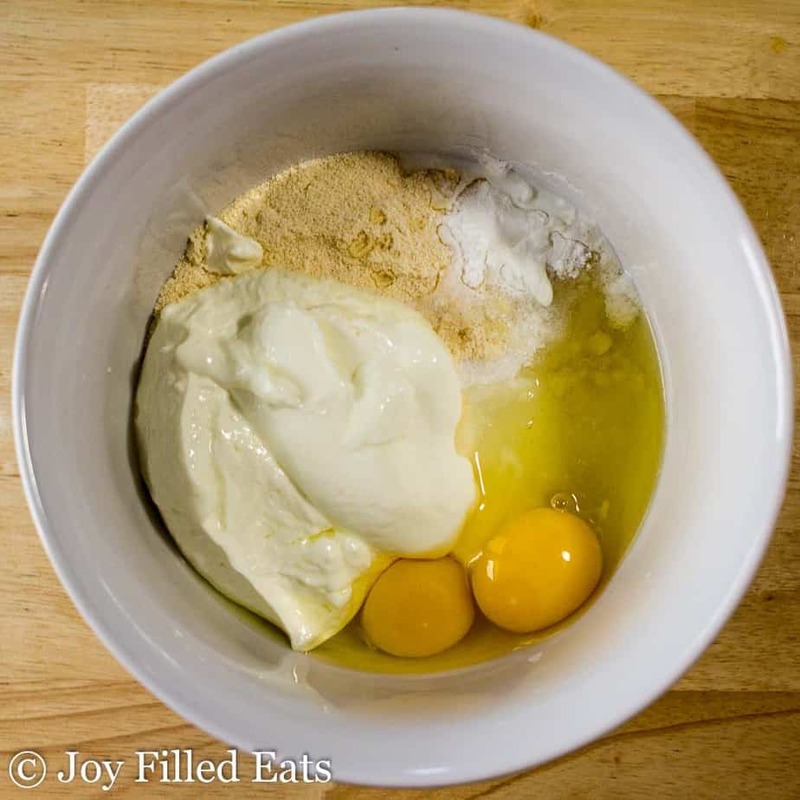 This batter might br too thick to blend. I haven't tried it. These muffins are excellent!! They taste like the muffins I used to get at the bakery except now I don't feel guilty. Thank you! Can I use splenda as my sweetner? I have not tested this recipe with splenda. I think it would work but I'm not sure how much you would need. what can i substitute the yogurt with anything?? Sure, coconut cream or sour cream would work. Only 82 calories a muffin? That seems low. 😊 Can I use THM baking blend to lower the calories? If so, how much? What would that take the calories to? I’m trying the arch my calories for a few weeks to see if that blows me. I just ran the numbers again and it came up with 93 calories. I think it just varies a bit by the brands used. THM BB should work to sub. I mixed all the wet ingredients then added the 1/2 cup of coconut flour knowing that it would absorb. Well lo and behold it did thus the mix not wet enough to add the almond flour. I am not sure how to rememdy this. In my instructions, I say to just add everything at once and then stir. There is enough liquid for the dry ingredients. You could add an extra egg. Great recipe, Made them this AM. I too chopped the cranberries, and substituted sour cream for the yogurt. Very moist. This recipe is a keeper.. Thanks for posting it!!! Looks like a great recipe. 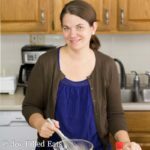 I a wondering if I can use the THM Baking Blend instead of almond and coconut flour? These were delicious! I honestly don't like a lot of thm baked goods, but I did like these! I used vanilla greek yogurt and 3/4 cup xylitol to sweeten because that's what I had. Definitely a keeper, thanks! I made these today and they are fabulously sweet and tangy. I did add a little salt. I wasn't sure if the cranberries should be whole or chopped, so I chopped some and left some whole. It worked and the family loves them. Thanks for a great recipe! These were absolutely wonderful! Best muffin recipe EVER!! Could I use blueberries? Would 2 cups be too much? Thank so much! Yay! So glad you liked them. You can definitely use blueberries and play around with extracts. Vanilla or lemon extract would go great with blueberries. Start with one cup and see how they look. One and a half might be perfect.